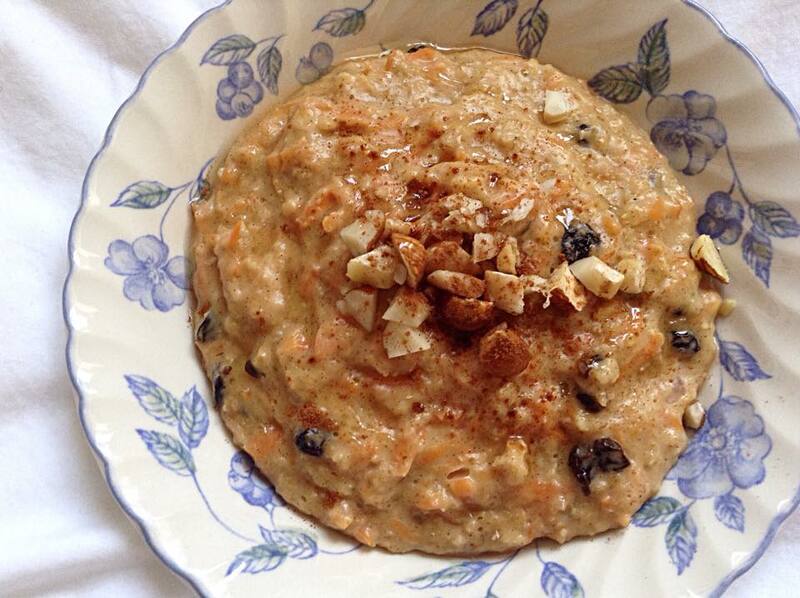 This had been my go to breakfast recently as a switch up from my usual banana and berries porridge. It truly does taste like carrot cake! So would make a great dessert as well as a gorgeous filling way to start your day. You can pretty much customize it with whatever you think makes the perfect carrot cake, more spice, chunks of pineapple, your favourite dried fruits less honey, more honey; leave below what combinations you come up with! Stir the oats and water in a small saucepan for around 5 minutes until heating up. Then add the milk, carrot, spices and honey and keep on the lowest heat for around another 10 minutes or your right consistency. Stir through your chosen add ins, if any, I chose raisins, coarsely chopped nuts and 1/2 tsp honey. Serve, topped with a few more extra nuts, a squeeze of honey and a pinch more cinnamon. Next Valentine Day Dessert Ideas!